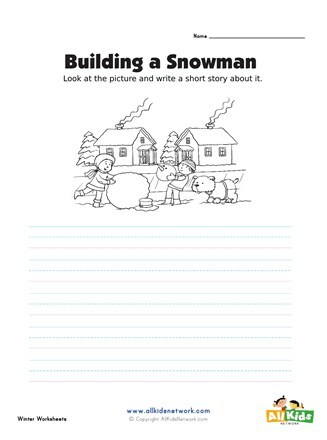 This picture prompt worksheet features a picture of building a snowman. The worksheet features primary handwriting lines. 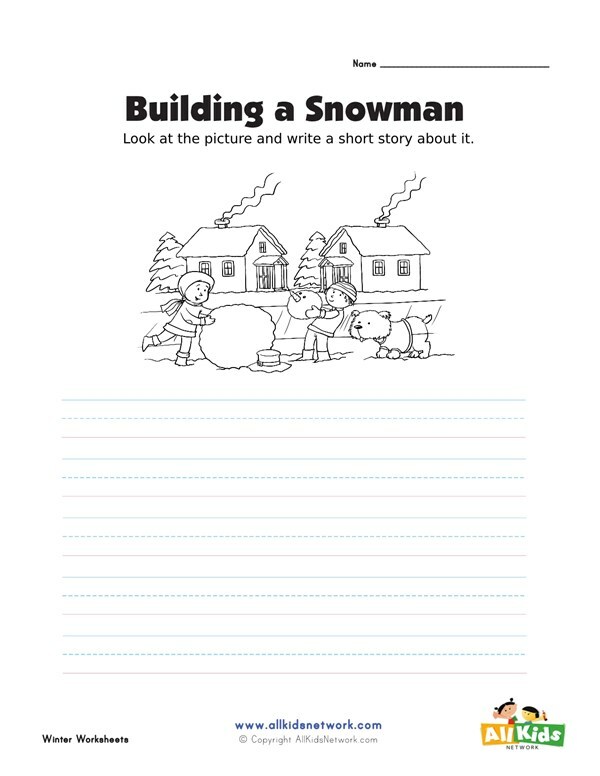 This writing worksheet is great for younger kids to practice early creative writing skills during the winter season.